Happy New Year Nurses, Nurse Educators and Nursing Students! We're so excited to bring in the New Year with you with a brand new round of exciting giveaways starting with our January prize pack. 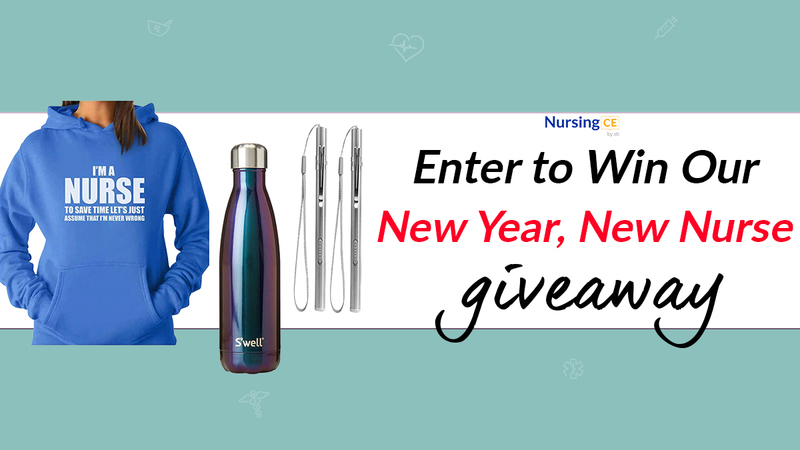 Enter to win our New Year, New Nurse Prize Pack that includes a Supernova S'well bottle, a I’m a Nurse sweatshirt and 2 Stainless Steel Pen Lights. What is the Nursing License Compact and How Does it Impact Nursing? NursingCE.com is a comprehensive online resource to help nurses meet continuing education (CE) and licensing requirements for all 50 states and Washington, D.C.
© Assessment Technologies Institute, LLC. All Rights Reserved.